PJ's Mail & Parcel Service located at 150 Lincoln Blvd, Suite 104, Lincoln CA is the go-to resource for packing, shipping, printing and business service needs of the residents and businesses of Lincoln, CA. Our team of dedicated, professionally trained experts understands the meaning of Super-Star Customer Care—we focus on saving you time and money by ensuring you get the right products and services at the right price—in a single, quick visit. We can pack and ship [almost] anything to [almost] anywhere in the world, but shipping is only one way we can help to make your life easier. 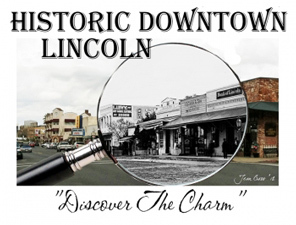 In addition to our pack and ship service, we are also Lincoln's premier copy, print and document services center. Large or small, black and white or color; if it can be printed, PJ's Mail & Parcel Service can handle it! PJ's Mail & Parcel Service is a one-stop-shop for dozens of business products and services that will allow you to do what you’re good at while we take care of the “other stuff” you need to succeed.